I had the pleasure of photo-shooting a different type of event this past weekend in Accokeek, southern Maryland. Denison Landscaping and Nursery, a local company in southern Maryland, had an event for their employees and their families and they went all out to make it fun, entertaining and beautiful. They own a private park in Accokeek and part of the park is a soccer field that I am sure beats a lot of the soccer fields around the area in the quality of the pitch. 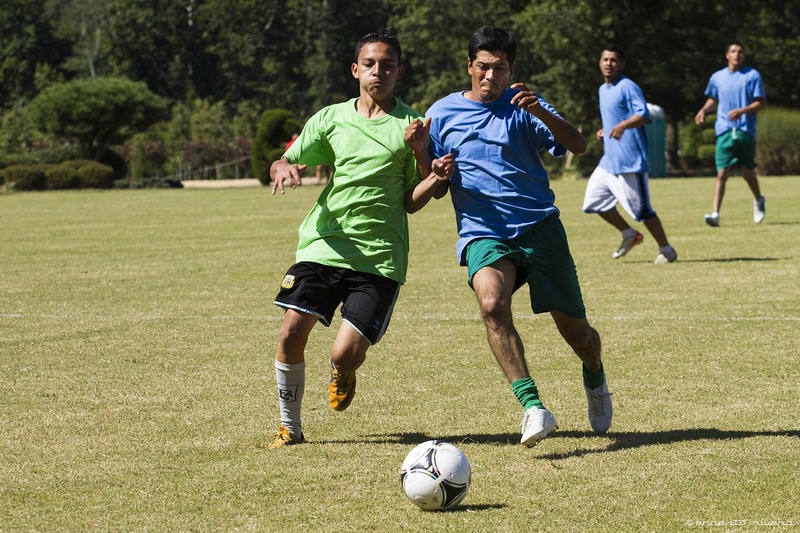 Given that many of the employees are Hispanic, soccer is a big thing for them and Denison obliges. This is the first time that I take pictures of a soccer game and other that a few close encounters with a stray soccer ball, I survived and I think I got a few good pictures. The Potomac River is a destination for us here in the Washington Metro area and I have photographed many of its popular spots, such as the C&O Canal that runs along the river, Great Falls, the Billy Goat hiking trail and the gorgeous Tidal Basin, home of the awesome blooming cherry trees in early spring. But what I had not seen were the views from river and all of that changed when recently I that the terrific opportunity, and the honor, of producing the wedding video of Weldon and Anamika. Their beautiful and romantic wedding ceremony and reception was aboard the National Elite yacht. 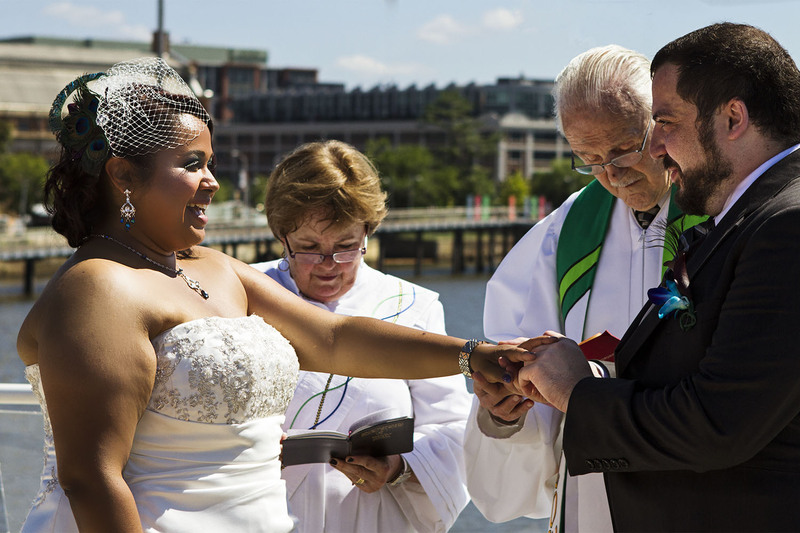 It started at the Diamond Teage Park located on the riverbank of the Anacostia River, with the wedding ceremony being officiated on the upper deck while the yacht was anchored at the pier and then proceeded down the Potomac River, past Alexandria and back while the lucky couple and their guests enjoyed the food, the live music and the views along the river. Of course the main reason for me being there was to capture video of their wedding but it was also nice to see the usual sights along the Potomac and the Anacostia rivers from a different perspective and capture those sights from the yacht and include them in the video as part of Weldon’s and Anamika’s memories of the event.